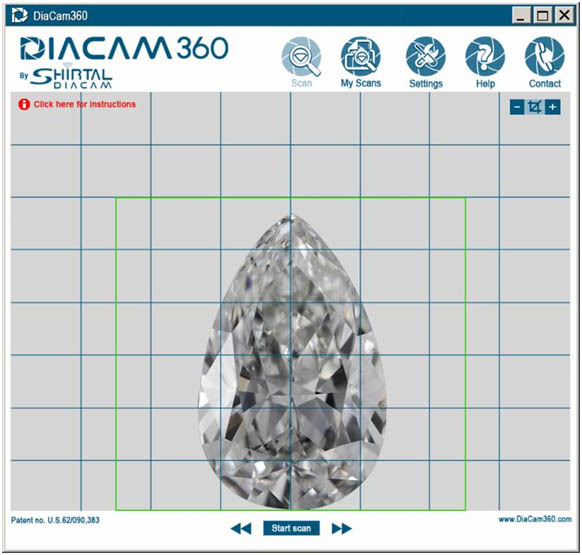 DiaCam360, a small, portable, effective and affordable scanning device that creates high quality photos and 360-degree, interactive videos of polished diamonds, will debut in the USA at the upcoming JCK Show in Las Vegas, May 29 to June 1, 2015. TheDiaCam360 will be demonstrated at the Shirtal Group Booth #B5450 in the Diamond Plaza, Bayside, Level 1. "In a business where most clients are located thousands of miles away, and most transactions start on the internet, we needed a device that would enable clients to view our diamonds from every angle, just as if they are holding the stone in their own hands. Of course, the device is located in your office, it's easy to use and doesn't require any photographic skills, and takes only one minute!" explained Lior Hirsh CTO of DiaCam 360. "Also, we learned that customers prefer an interactive display of the product over a still photo or video. 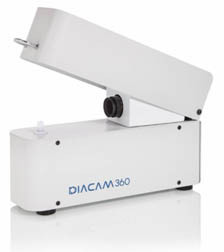 We offer both options with the Diacam360." "The DiaCam360 was the highlight of DiamTech exhibit of last February'sInternational Diamond Week in Israel," says Tal Volner, the marketing manager ofShirtal Diamonds USA. "It was seen and tested by, among many others, numerous diamantaires from the US, and calls kept coming in with the question when would the DiaCam360 become available in the US. We therefore expedited our plans to make it to the JCK show," Volner continued. Volner added: "We invite everybody to try the DiaCam 360 and scan their diamonds on site at our booth #B5450 in the Diamond Plaza, Bayside, Level 1. We will also give a significant discount of 25 percent for those who pre-order the device during the JCK Show.